Jasmine, with a color collection that shows she is confident and strong-willed; inspiring all of us to express ourselves in any way we desire. Who needs an enchanted lamp to make their dreams a reality? With the Cave of Wonders-worthy array of metallics, mattes, shimmers, and jewel-tones of Disney’s Aladdin Collection by M•A•C, makeup lovers enter a world where fantasies are fulfilled, and any look, from dramatic to demure, can be created with ease. 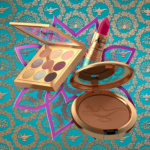 Each item included in the collection will be adorned with special packaging inspired by the rich patterns and vibrant colors of Agrabah where Aladdin and Jasmine’s exciting story unfolds. 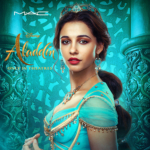 Guaranteed to delight makeup addicts and Disney fans alike, Disney’s Aladdin Collection by M•A•C will be at the top of every collector’s wish list. 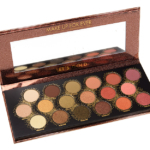 Specially-packaged, nine-shade palette featuring mattes and shimmers. What, no blue face paint? Ok, it’s Disney, so I’m automatically interested. But it’s Aladdin, and I’ve never been a fan of this particular Disney movie. And there’s nothing here that I need and can’t duplicate already. But the lipstick is so pretty and the packaging looks so pretty. 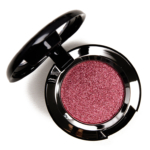 If it was Colourpop, I’d probably jump on it, but I think I’d better just save the money. Oh CeeBee, you made me laugh! As a teacher, I met quite a few ‘princesses’ in my time and being strong willed was one of their many characteristics, as well as your excellent description of Jasmine. Snort laugh. Now that’s the kind of princess you can like. My laugh of the day thank you! CeeBee, now that’s the description of Jasmine I can identify with! You made me laugh tonight. I have a doc where I write down my favorite quotes from books, movies, Twitter, you name it. Allow me to add your description of Jasmine. LMAO MAC should hire you to write their copy! The packaging is beautiful, and so are the colors. 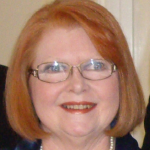 I’d like to have the eyeshadow palette, but I don’t think the lipstick or bronzer would look right on me. Not quite a fan of Disney, let alone Aladdin and the princess bit can be interpreted in many ways…. but I think the lipstick is too pink for me. 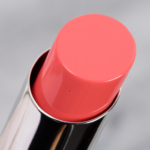 I’m curious about the lipstick, as I love that shade of pink. Will see how it swatches in real life. I personally find the name of the bronzer awkward and I don’t care if the expression emanates from a woman or a man. We are past those medieval times when someone’s wish becomes a command for the others. It does like pretty don’t know if I will buy it. The packaging is pretty. I wish that someone would do mulan she’s my favorite Disney heroine. Looks like another palette with that chameleon/zombie blush color. That never really looks as good on the eye! Interesting, though. 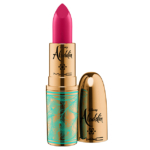 I love the color of the lipstick in the model picture, but in the bullet it seems too bright pink for my liking. And even the eye look… it doesn’t seem to be with the colors in the palette. The packaging is really nice, I would purchase the lipstick if it were a color to suit me. But I like that the bronzer has a mirror; you could use it as a pocket mirror after you use up / depot the powder. A nice way to keep memorabilia without hording old expired make-up. Hmmm. I don’t give a flip about Disney, but my interest is piqued w that e/s palette. The color story looks more interesting than the current Bloom collex. One thing I’ve noticed is the color of lipstick on my computer or iPhone is NOTHING like the shade in real life. So I’ll wait to reserve judgement on the lipstick. The bronzer and eyeshadows I’ll probably grab. Colourpop just released a Disney Princess collection. The Ariel lipstick shade and gloss were terrible on me, but Belle turned out okay. The eyeshadows alone are worth it though. I picked up a lot of the ColourPop princess collection but it’s the villains collection I’m really looking forward to! All I can say is ; MAC, don’t drop the QC ball on this one or you’ll have a load of 30 somethings coming for you! Because, yeah, my daughter and millions of her age-mates had Jazmine, Arielle, Belle and the Lion King all through their 90’s childhoods. This is so fun. I’m not into buying Disney stuff — the aesthetic is a little too kitsch for me — but I can see a lot of my friends loving this collaboration. 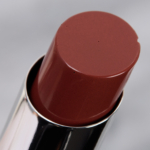 I think the lipstick is a great color for Jasmine, and I’m glad to see deep pink as a LE color instead of the usual red or hot pink. I’ll most likely get the lipstick and maybe the eyeshadow. My favorite YouTuber, JAMBEAUTY89, met her husband playing Jasmine to his Alladin. I’ll be interested to see a swatch of the lipstick compared to Jasmine from the colourpop disney collection – it was also bright pink. At the very least, the packaging is much better than what they did with Cinderella. I’m loving the gold with turquoise and fuchsia. The lipstick is calling my name. 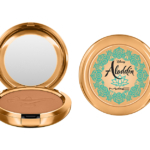 Disney check, Alladin check, Packaging check check but if the colours are that unique and/or flattering for me a doubt it… but yes, it has my interest. Why is her palette so uninspiring. I love Jasmine, but this palette is not exciting. I know that it is probably an odd choice for a collection, but since Jasmine wears a lot of eye liner it would have been cool for one to be released with this (provided it was a good one). 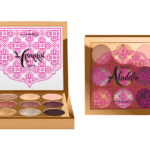 I also think a palette inspired by the magic carpet would have been a ton of fun! I strongly distrust MAC’s nine-pan palettes. That Aaliyah palette still haunts me.